I have certain preconceptions, must admit it. That feeling of “haven’t seen it but don’t like it already” – I’ve tried going against that, but it didn’t work out... and I think it is worse now that I’m older - I’m more intolerant. I read something the other day about Clint Eastwood’s new movie (hey, Mark, more imdb links for you!) :). Angelina Jolie is on it, so I won’t even bother - no time to waste. If the Oscar buzz involving her drives me nuts already, watching all that “talent” in action will do me no good. Start by making the crepes: sift the flour in a large bowl and make a hole in the center. Add the egg, egg yolk, salt and a few tablespoons of the milk. Whisk well. Gradually add the remaining milk, whisking between additions, until you have added all the milk and the batter is smooth (it will be a rather thin batter). Heat a 22cm non-stick frying pan over medium heat and brush it lightly with oil. Pour 3 ½ tablespoons of batter into the pan, swirling to cover the bottom completely. Cook for 1-2 minutes, until golden; flip the crepe and cook for further 1-2 minutes. Slide crepe onto a plate. Repeat process with remaining batter, coating the pan again if necessary – you’ll get 8 crepes. Now, the filling: cook the broccolini florets in a pan of salted, boiling water for 1 minute. Drain, cover with cold water and drain again*. Melt the butter in a small saucepan over low heat, then add the flour, stirring constantly; cook for 1 minute. Remove the pan from the heat and gradually add the milk, whisking constantly to avoid lumps. Put the pan back over heat, add the mustard, mozzarella, parmesan, salt and pepper, whisking until the cheeses melt. Remove from heat again and set aside to cool completely. Pre-heat the oven to 200ºC/400ºF; lightly brush a non-stick large baking sheet with oil. Add the egg yolks to the cooled cheese mixture and mix well. In another bowl, beat the egg whites until firm peaks form. Carefully fold in the egg whites into the cheese mixture, then add the broccolini florets and oregano leaves. Divide the filling in the center of the open crepes and fold them to encase the soufflé. Place the crepes in the prepared sheet, sprinkle with the extra parmesan (I forgot!) and bake for 15 minutes or until the soufflé is puffed and golden and the crepes are crisp. Wah ha ha ha! Thanks for the Changeling link! I randomly read the first forum topic and it was some guy complaining that it wasn't a remake of "The Changeling", the 1980 horror film. I think I laughed for a whole minute after that, with the rest of the posters calling him a dumbass. Hmmm... I think Jolie is talented but I'm still on camp Aniston, despite the recent weirdness. Meanwhile... Broc and cheese is always a winning combination! This looks like an instant classic Patricia! Thanks for the recipe! Everything is better when it is rolled up in a crepe. these look fantastic, i love the idea of filling the crepe and then baking it! What a great idea to bake a crepe, I love it. More sturdy too! My husband didn't know what a crepe was until recently. Norwegians eat waffles, and if they can't get those, they eat pancakes. So when I explained to Wolf what a crepe is, he said, "Why don't you just call it a thin pancake?" I gasped. Yours look like they could be either breakfast or lunch. Yum! What a great idea for the filling Patricia...I think they turned out beautiful! That crêpe looks delicious. I like the idea for the filling. I love the Angelina Jolie comment - HAH! And I love the crepes, too. The broccolini and cheese filling looks divine. Wouldn't have thought of baking them - but crisp crepes intrigue me. Now I know what to do with those crepes I had to stash in the freezer! This looks incredibly elegant Pat (I mean, aside from super delicious of course)! Mmm, crepes. And savory ones at that. Makes me want to run down to our local crepe place tomorrow. your crepe looks amazing and the filling sounds wicked! i love crepes a lot, savoury or sweet and it's why i go nuts in france. These look truly delicious! I'd love to know what broccolini is though - I'm guessing some small kind of broccoli? It is the second time I've seen it on a blog today - I'm not sure we can get it in the UK. I'm full of preconceptions too Patricia...thankfully one look at the crepes & no thoughts other than WOW remained! Brilliant idea Patricia. You're so creative! baked crepe ...what a neat idea!! they look delicious!! 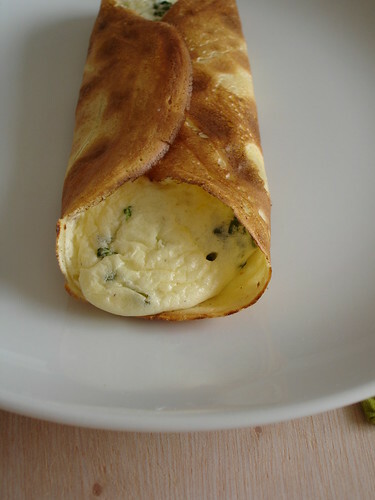 I used crepes before but not yet that way, I feel it's a great idea I must try that too one day. Relly creamy and appetizing. this can be perfect for appetizer or even a light lunch accompanied by smoked salmon perhaps? yum! Emily, I was intrigued by this, too! Cathy, it is - kind of crisp, yum! Mari, here in Brazil is the opposite - we are used to savory crepes (we call them pancakes, too, like your hubby!!) and the sweet ones, made for breakfast, have become popular here recently because of American influence. Vanille, that filling of yours sounds delicious, too. Joey, I'm so glad you feel this way, darling, tks!! Pea, I love savory crepes, too. Diva, thank you! I love them both, too! Antonia, I'm sure these would be great with regular broccoli, too! Deeba, I'm glad to know I'm in such great company! 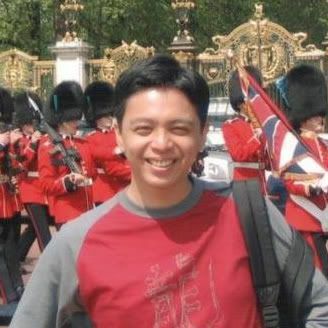 Rico, tks for stopping by! 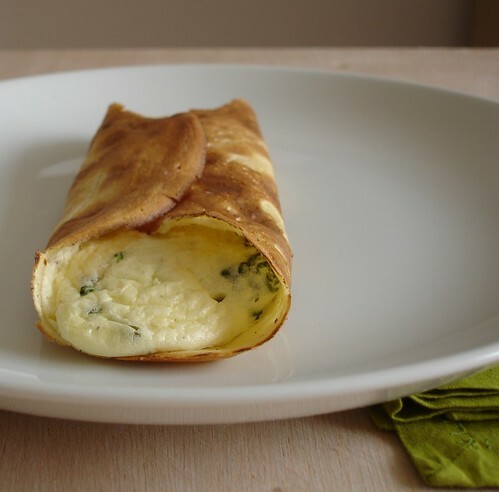 Lyb, I love savory crepes and they are a great idea for quick meals. To add your site to the Ptitchef family you can use http://www.petitchef.com/?obj=front&action=site_ajout_form or just go to Ptitchef.com and click on "Add your site"
Hey I really really like this!! Lovely for a brunch...and we often eat eggs for dinner around here. Bravo, Patricia! I've yet to have a crepe! I love the savory filling in yours :). Hope you're doing well, Patricia :).